This section contains detailed information on available specials for redesigned buildings, as well as our inventory of used buildings. Within this section are listed new buildings available at discount prices. The cost of these buildings includes engineering costs and the design maximizes efficiency and consequently provides a savings on labour costs. Please click the below link to review our Building Specials. For any number of reasons, corporations and individuals outgrow their existing facilities. 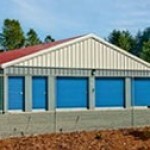 Steel buildings are simple to disassemble and relocate. This section details these types of buildings. 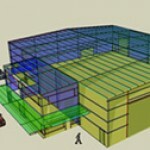 If you see a building in this section that would be right for your project, please contact us.